Hi everyone! Lauren from Perpetually Chic, back with my absolute favorite fall salad. I was inspired to create this last year, after selecting an unlikely pairing--Brussels sprouts and butternut squash--from a local pizza restaurant's salad bar (which boasts 24 mix-in options). After further perfecting the salad at home, I must have made it a dozen times last fall, so I'm excited to bring it back into heavy rotation now that Brussels and butternuts are once again in season. 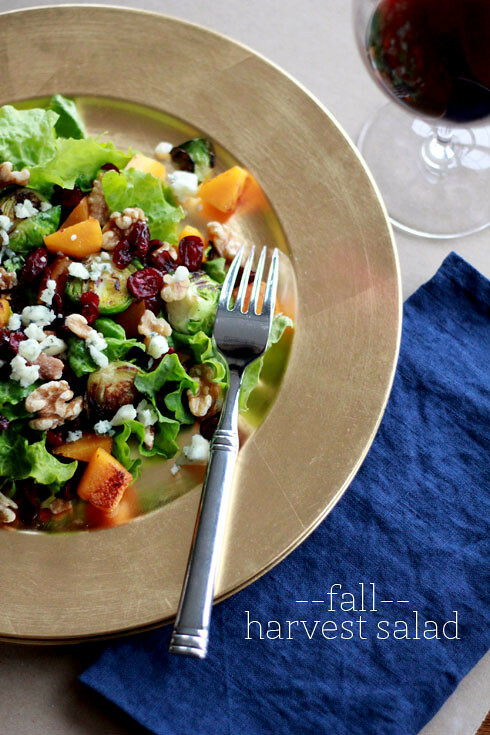 Paired with sweet dried cranberries, crunchy walnuts and creamy blue cheese, this salad is packed with flavor and filling enough to be a meal on its own. Read on for the recipe! 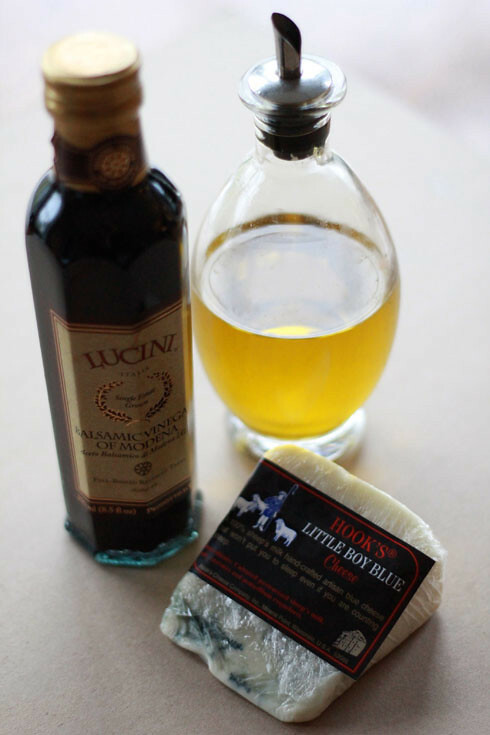 Try to find a good quality, fresh blue cheese and crumble it yourself. 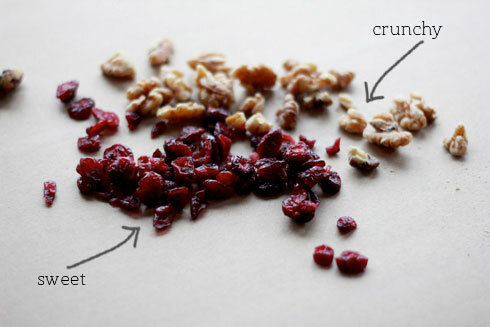 You can certainly use the pre-crumbled kind, but I promise you won't regret spending a few extra dollars on this one ingredient. 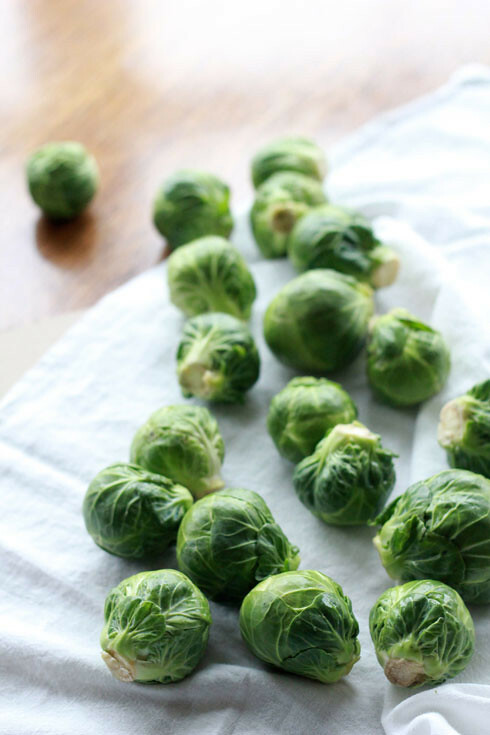 Quick tip: Be careful not to overcook the Brussels sprouts, which become very bitter if cooked for too long. To make the dressing, whisk together the vinegar and dijon mustard. Slowly drizzle in the olive oil while continuing to whisk, until mixed well. Season with salt and pepper to taste. 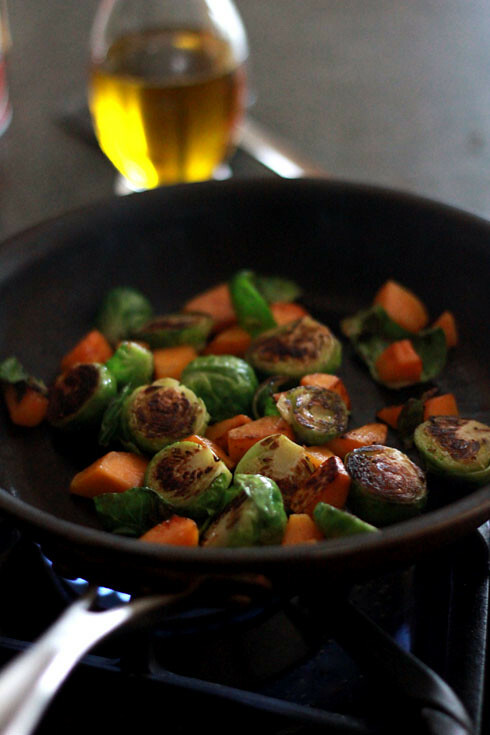 In a pan over medium-high heat, sauté the Brussels sprouts and squash with a very small piece of butter. Cook, turning occasionally and drizzling with a little olive oil, until browned and fork tender but still crisp. Season with salt and pepper. In a bowl, toss lettuce with balsamic dressing. 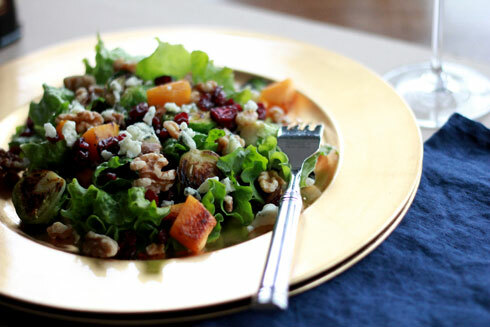 Transfer lettuce onto plates, then top with the warm Brussels sprouts and squash, cranberries, walnuts and blue cheese. Sprouts are a number one fav of mine. I will definitely be making this! I always use olive oil in my salads, it's a must! I need to eat healthier, so thank you for this great salad!